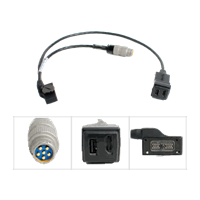 This cable plugs into the PTT / EUD side connector on the MPU5 and connects to an audio accessory, a video accessory, and a USB accessory. 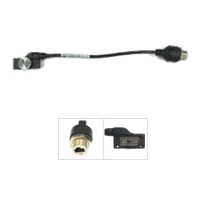 This cable attaches to the PTT / EUD side connector on the MPU5 and connects to a PTT device with a U-329 socket. 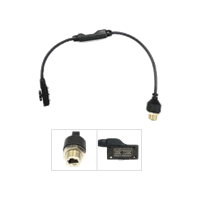 This cable plugs into the PTT / EUD side connector on the MPU5 and connects to an audio accessory (6-Pin NATO Hand Mic/6-Pin NATO PTT/Speaker Box) as well as to a USB accessory. This cable attaches to the Data side connector on the MPU5 and connects to devices such as a computer via a standard RJ45 Ethernet Cable. 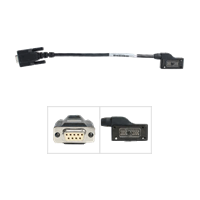 This cable attaches to any side connector on the MPU5 and connects to any USB accessory such as a USB Hub w/ Wireless Keyboard and Mouse. 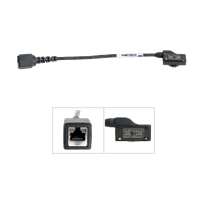 This cable connects to the PTT/EUD side connector on the MPU5 and attaches to ACCEUD-1002 to use an EUD in a ruggedized case with the MPU5. Connects the MPU5 to a Serial device. 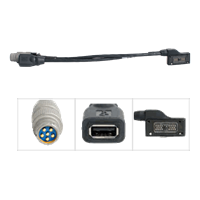 This cable attaches to the Data side connector on the MPU5 and enables connection to USB devices as well as connection to a standard Ethernet cable. 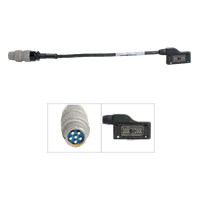 This cable attaches to the Data side connector on the MPU5 and allows for an IP67-rated connection to a compatible Ethernet cable. 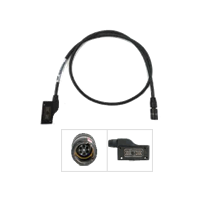 This cable connects to the Data side connector on the MPU5 and attaches to a USB device via a 6-PIn Push-Pull Socket. 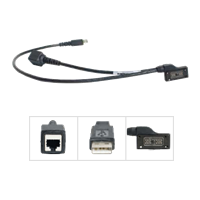 This cable enables the user to connect an Ethernet device to any of the MPU5’s three side connectors. 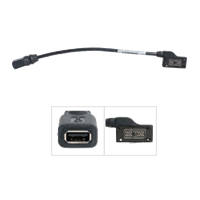 The MPU5 supports using this cable on all ports simultaneously.